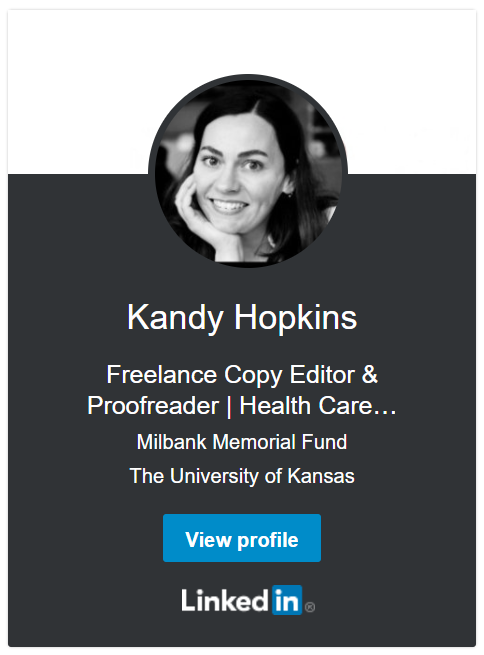 ~ Freelance copy editing consultant specializing in medical, health care, law/legal, & academic publications. | AMA, APA, AP, Bluebook, & Chicago styles. Hello boys and girls, my latest Friday Five post for Attorney at Work is up and ready for your reading pleasure. See “Trending: What Doth the Future Hold?” for a few possible developments in the legal industry. I offer three editing services—Proofreading, Copy Editing, and Substantive Copy Editing—and several full-issue Editing Packages. For more details, see my Services & Packages sheet. For availability and rates, email me with your project details at: Kandy@WordGeekCo.com. Copyright © Kandy Hopkins 2010-2018. Please do not reproduce any part of Word Geek Co. without written consent from the owner or attribution and link back to source. Thanks!